in bookstores now: sleepover duck! It's Duck's very first sleepover . . . and it's in Cat's barn! But a "Hooot, Hooot" is keeping Duck from getting any sleep. So Duck and Cat search high and low to find out just who is doing all that hooting. Full of your favorite barnyard animals and their memorable sounds, young readers will love this delightfully funny and endearing story. Now available as board books! I am an illustrator and author living in Brooklyn, NY. 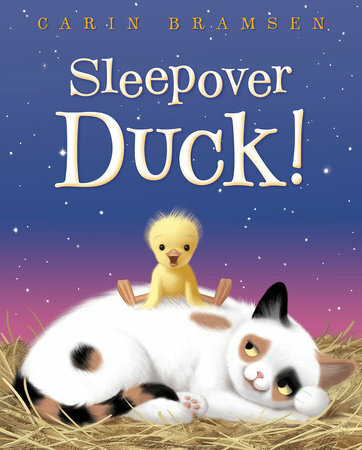 My latest children's picture book is SLEEPOVER DUCK! (2018), a companion to JUST A DUCK? (2015) and HEY, DUCK! (2013), all published by Random House.